BHUBANESWAR:A day after the All-India Tiger Estimate 2014 reported a decline in tiger numbers in Odisha, the State Government on Wednesday reacted strongly to the poor numbers terming the census results ‘haphazard’ and ‘hurried’. 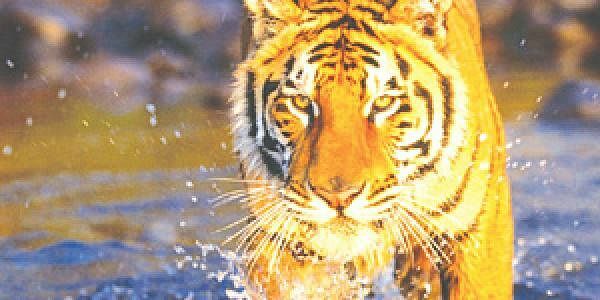 While the National Tiger Conservation Authority (NTCA) announced a 30 per cent jump in tiger population in the country, the large cat population in Odisha slipped to 28, from 32 in 2010 and 45 in 2006. However, the State Wildlife Wing is unhappy with the result saying that the NTCA has come up with the data by using field information which is incomplete and still being collected. It has decided to lodge its protest after getting the results officially communicated, said Chief Wildlife Warden SS Srivastava. Interestingly though, the Tiger Status Booklet released by the NTCA on Wednesday contradicted the State view and said it captured just six individual tiger photos in Odisha through camera traps. During the assessment, it looked into 3,299 beats out of which 81 were found to be tiger-occupied. In these tiger-occupying areas, the teams found 10,434 samples trails out of which 135 had tiger signs. The total camera trap locations were estimated at 140 which collected six individual tiger photographs. Similarly, the management effectiveness evaluation report put the two tiger reserves - Similipal and Satkosia - of Odisha in the ‘fair’ category with a score of about 57 per cent. Similipal was bracketed in the ‘Red Corridor’ given the presence of Maoists. The two reserves have potential for increasing tiger population by adopting ‘conservation inputs that restore habitat, prey populations,’ it said adding, supplementation of tigers in extreme cases can also be taken up. However, the State was clearly unhappy. “Under Phase III of the enumeration process, camera traps have been installed in Similipal and biological scientists from Wildlife Institute of India (WII) are collecting data since November 25. How can NTCA announce the numbers conclusively at this stage?” Srivastava said. As part of first phase of the estimation methodology adopted by NTCA, the Forest Department field staff collect data through sign survey. The information is sent to NTCA and WII which superimpose the satellite data and analyse tiger reserve connectivity to decide tiger density in the next phase. The third phase sees camera traps being installed in the tiger-occupied territories of the tiger reserves for capturing the images of big cats. This phase, Srivastava says, is still underway and before the process is complete in Odisha, announcing the numbers can only be termed preposterous. While NTCA announced the results on Tuesday, it is yet to come up with the comprehensive report which analyses not just the tiger landscape-wise predator and prey base, but also looks at State-wise information. So far, estimated population of large cats in Similipal and Satkosia has not been made available. In 2010 estimates, Similipal’s tiger population was pegged at 23 (in the range of 12 to 34) while Satkosia’s was eight (in seven to nine range).